the prime reason why we went to istanbul is to capture Irna La Perle's and Ina's Scarf fashion images. today is the day for Irna La Perle photo session around Hagia Sophia site. where we do styling and make up. using Wardah professional make up kit. and three high passionate photographers. 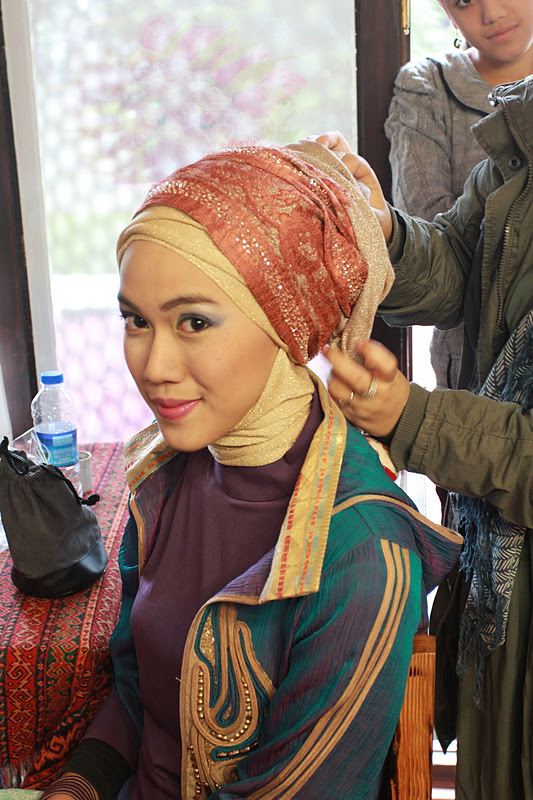 styling by Irna Mutiara, the designer of Irna La Perle. we have guests along the photo session, Ebi (Indonesian student at Turkey, who's helping a lot to be our private tour guide), Kezban (Firuzestyle, Turkish fashion media) and ZAMAN's photographer (Turkish prestigious newspaper) . we also doing photoshoot for Ina's Scarf that day.